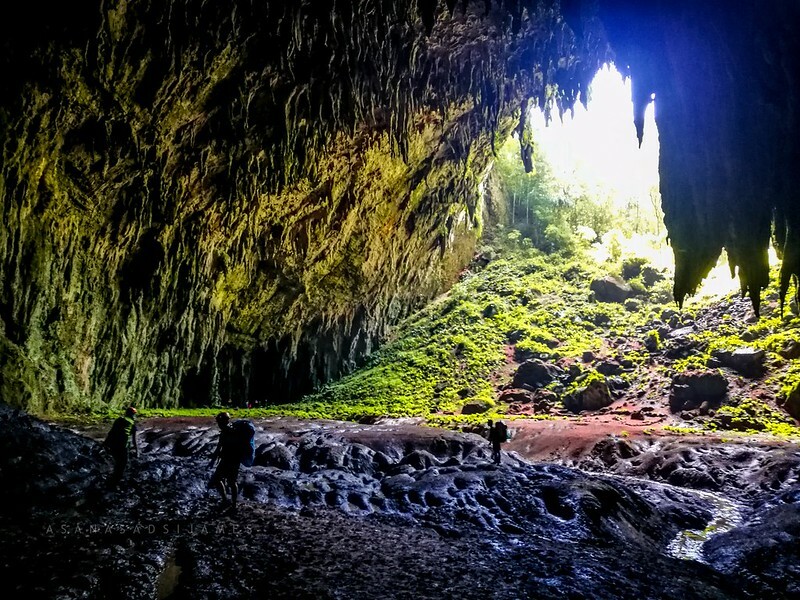 Caves in Philippine folklores are deeply rooted as the homes of supernatural beings of winged, blood-sucking, and even meat-eating creatures that say lived through the pre-colonial dark ages of our ancestors. Their stories are passed through word of mouth to hundreds of generations as a warning before any unwanted disturbances of the creatures that live within. It crossed my mind upon waking up at our campsite. But like the tales in the children’s book, it wasn’t real at all. The only thing I’m concerned right now is the demon inside me, the demon that is crawling inside my tummy. So mind you, supernatural creatures of the cave, I have my own demon to deal with. Adios! 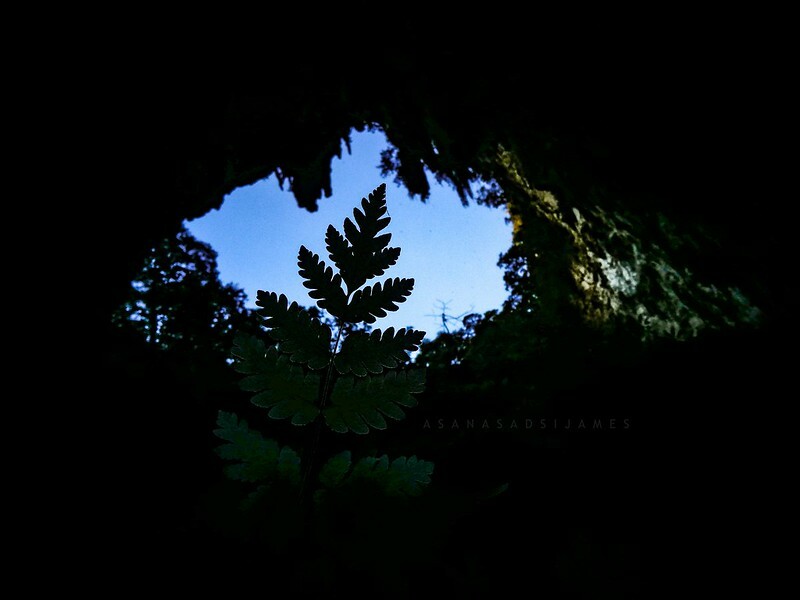 As I regained my energy from an arduous activity last night, it felt amazing waking up in a cave. Very tranquil and relaxing. Nice and quiet. 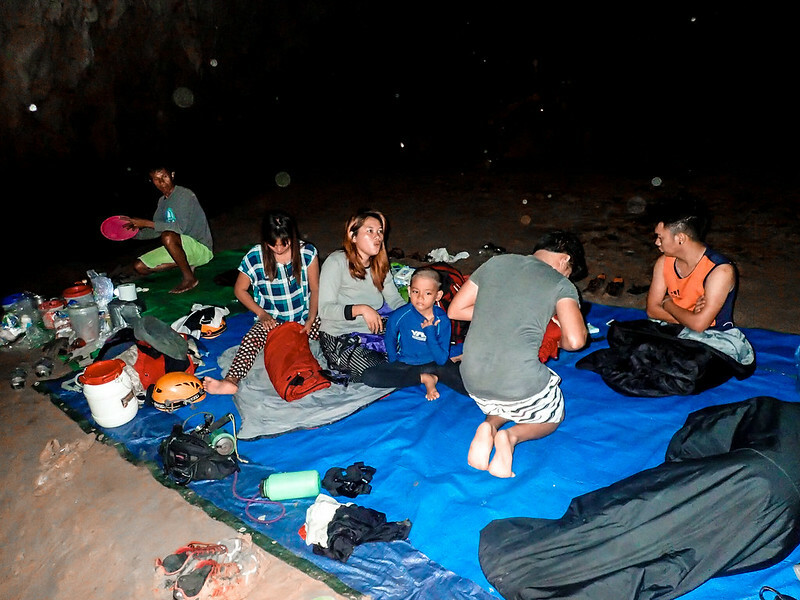 It was an otherworldly experience sleeping inside of Gobingob cave. Staring the darkroom of the cave, I see nothing but emptiness brought by darkness. I couldn’t tell the difference between opening my eyes and shutting them. Like sleeping and waking, I couldn’t tell if I’ve done those things. 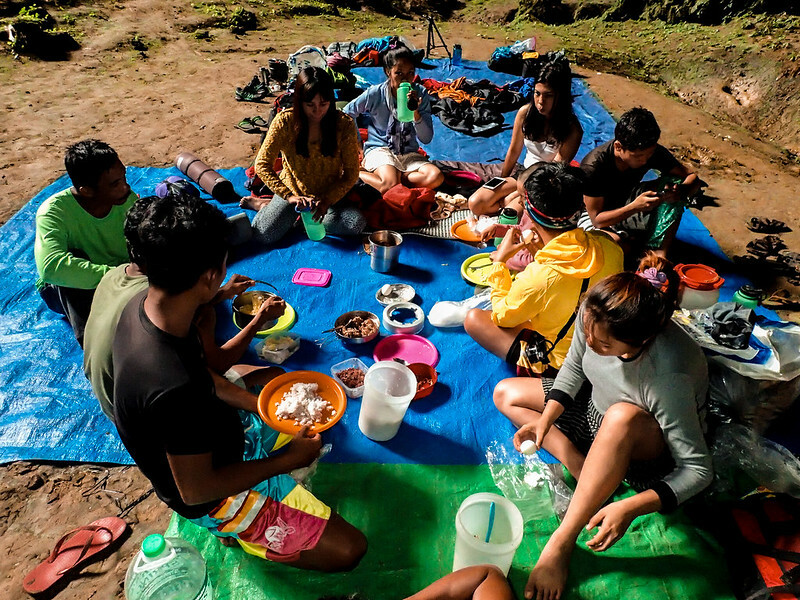 We left the campsite after we had a heartful breakfast and proceeded to the entrance of Langun Cave. 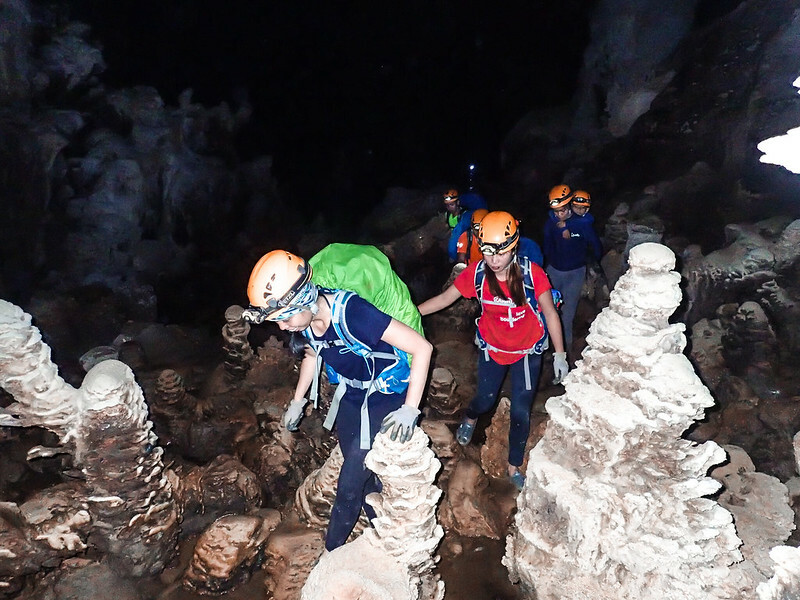 And again, we traversed another mountain just before we reach the border between Langun Cave and Gobingob Cave. 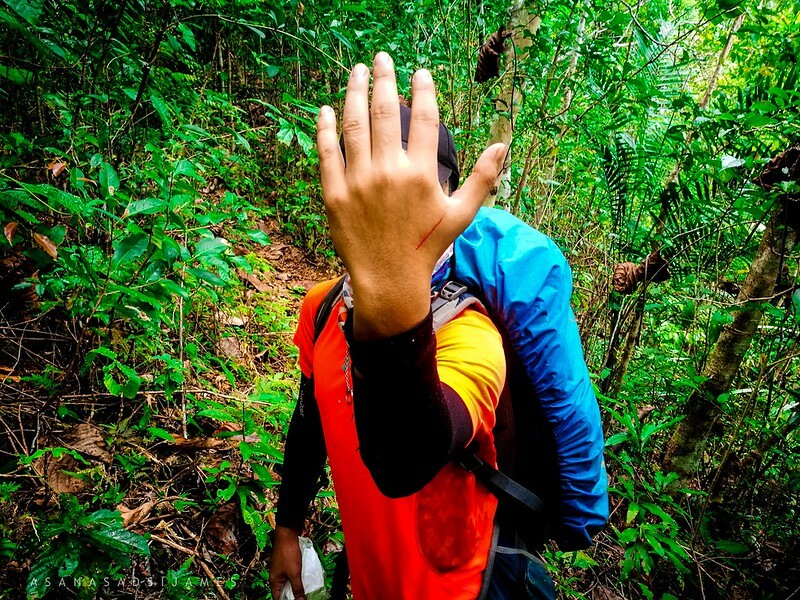 The trails going to the border are more treacherous than the ones we had traversed. 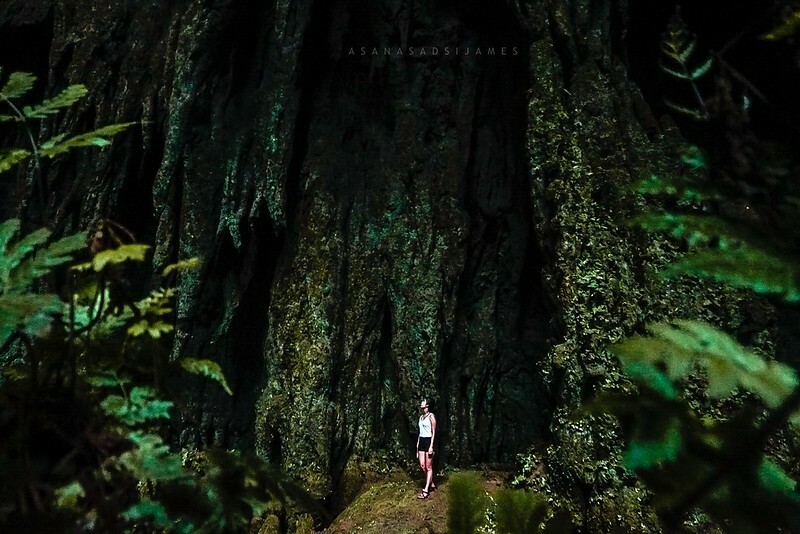 We stepped on slippery limestones that looked like spires of gigantic antlers that are protruding on the cave walls with steep cliff over a hundred feet high on our left side. In an ungrateful moment, my right shoulder brushed something unseen in the dark that caught off my balance. With my heavy backpack on, my body swing towards the cliff. There, the time moved even slower than it already was. I was facing forward on the cliff as the darkness below pressed in on me. My creeping anxiety suddenly became greater until I began to grasp the situation I’m in. I stole myself and aimlessly reached out with my fingertips to anywhere the limestone could be. My fingers touched something rough and slightly damp and on it, I clang for my life. For minutes, I hold a grip on it trying to calm my shaking body. I don’t know if that was adrenaline or that was fear. I didn’t scream. The only sound that met my straining ears was my own vigorous breathing and the thumping of my heart against my chest. That moment, death was smiling at me. Death was waiting in the dark abyss below. But see, I’m typing my own story now so probably I’m still alive. Kidding aside, I took a rest after that and had some life’s lessons to ponder. Accidents won’t arrive with a bell on its neck. So, always be careful. And in an old adage of mountaineering community, “Never underestimate Mother Nature.” Easy lessons but we often overlook that every day. I never had the chance or me intentionally not telling my companions about my nerve-wracking experience. I just don’t want them to worry about me. 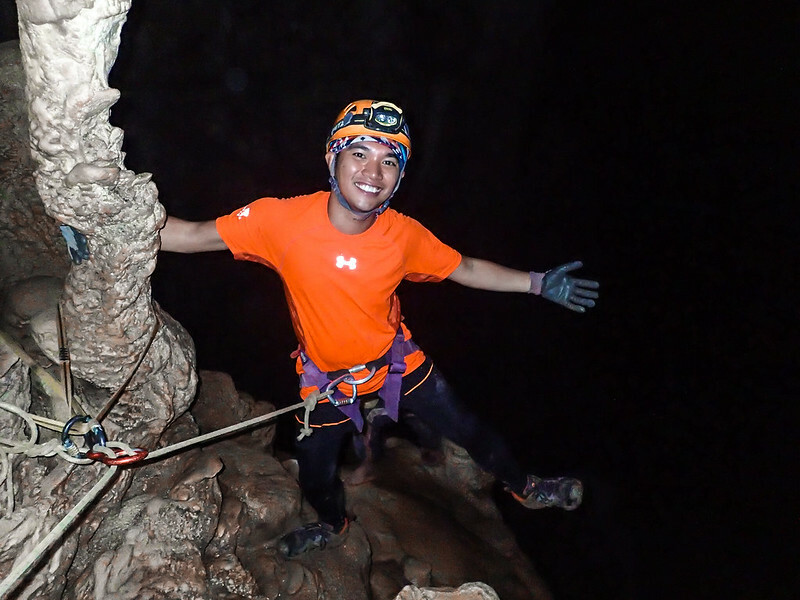 At the end of Gobingob Cave, a 40-meter cliff descend needs to rappel to enter Langun Cave. 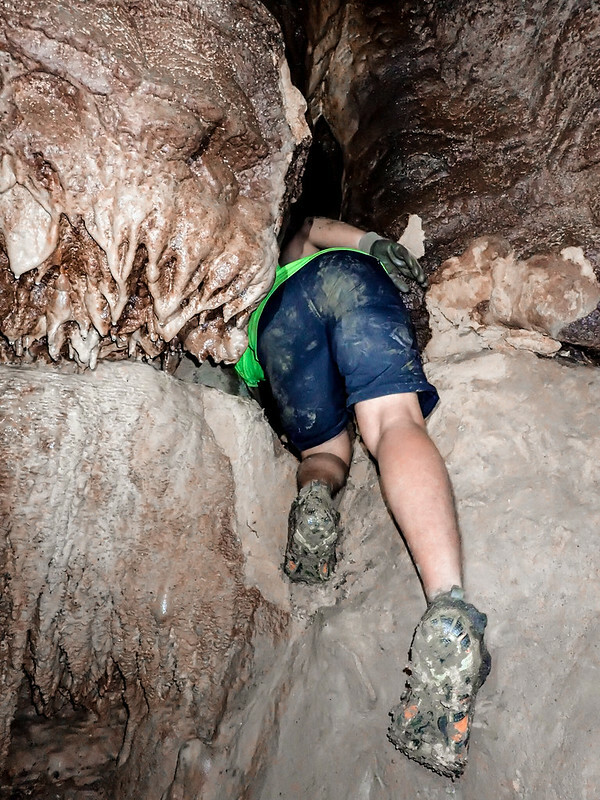 Bags off, harness on, I’m the one to first descend this entrance. For the first time in my adventures, I felt fear for my life. My body was still longing for calmness from the trauma before. But I perceived that fear to surpass my limits. Fear is part of human being. It’s the precursor to bravery. We need it, it wakes up to what needs to be done. This fear is healthy. So, I stepped down and began rappeling down the cliff. The rappel was manageable, I was able to reach the bottom with less than a minute. 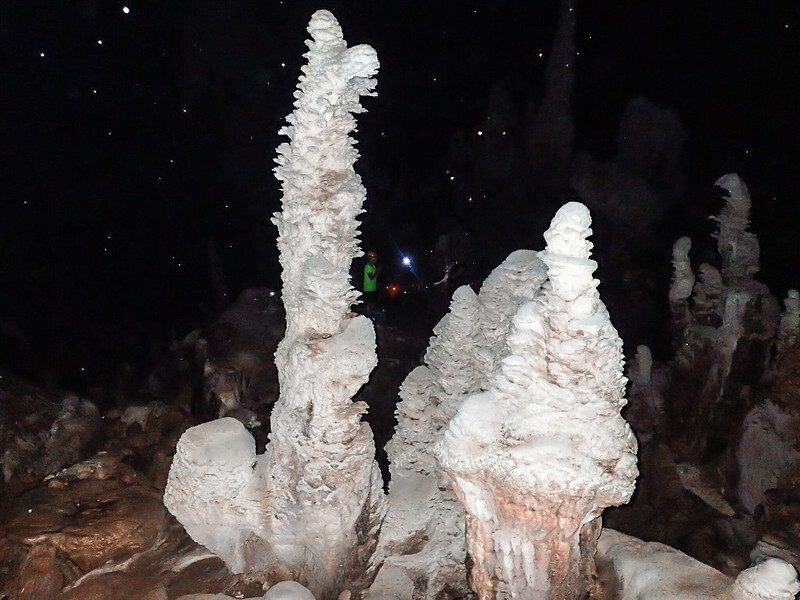 I found myself waiting in a forest of white limestones growing several meters high. 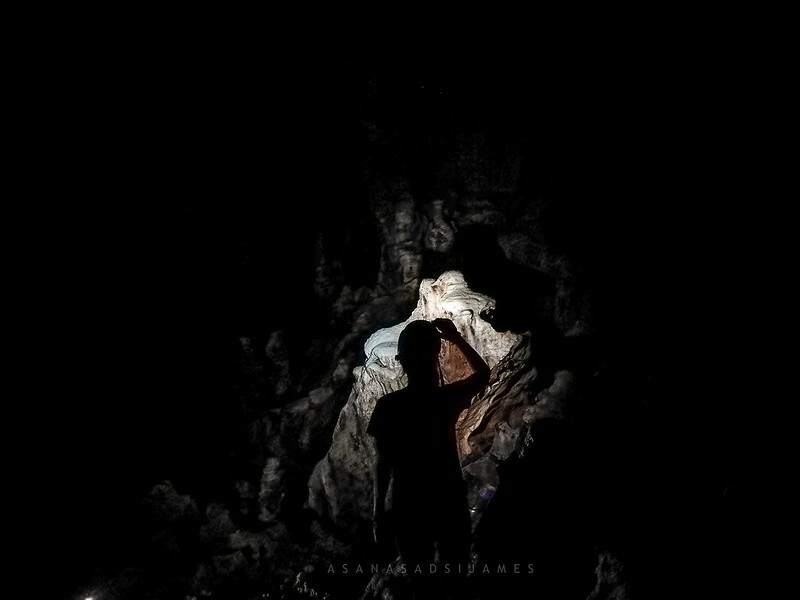 Sir Joni said that this part of the cave was untouched by bandits. It was a sight to behold to see these beauties in the underground realm unharmed. 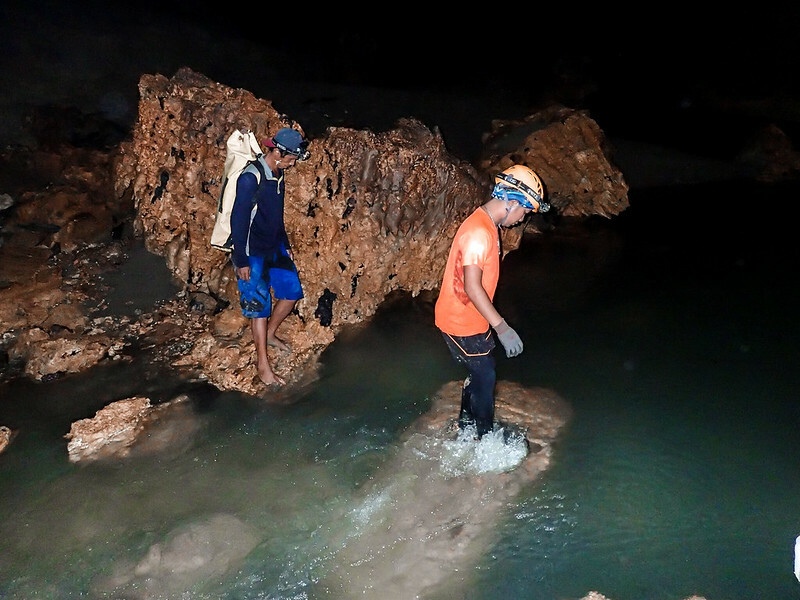 After crossing an empty underground riverbed, the cave never ceases to amaze our group. 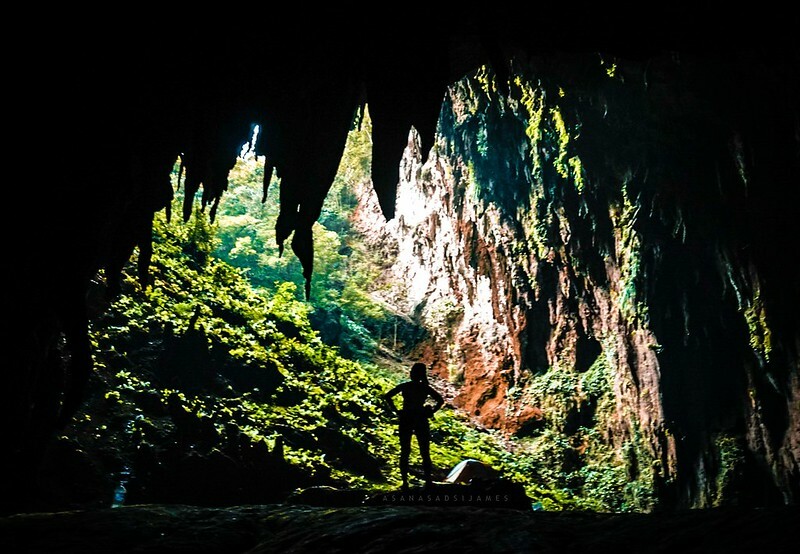 Hanging on the ceiling near the entrance of Langun Cave is the grandest of all stalactites. 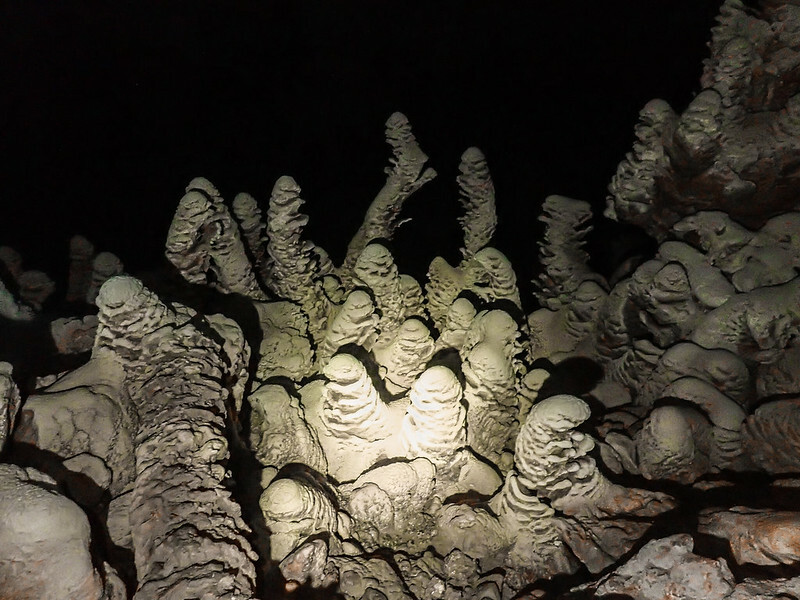 Huge and bulging speleothems that can compete for the luxurious chandeliers of the 5-star hotels in the city are humbly hanging in perfection just above the ground. 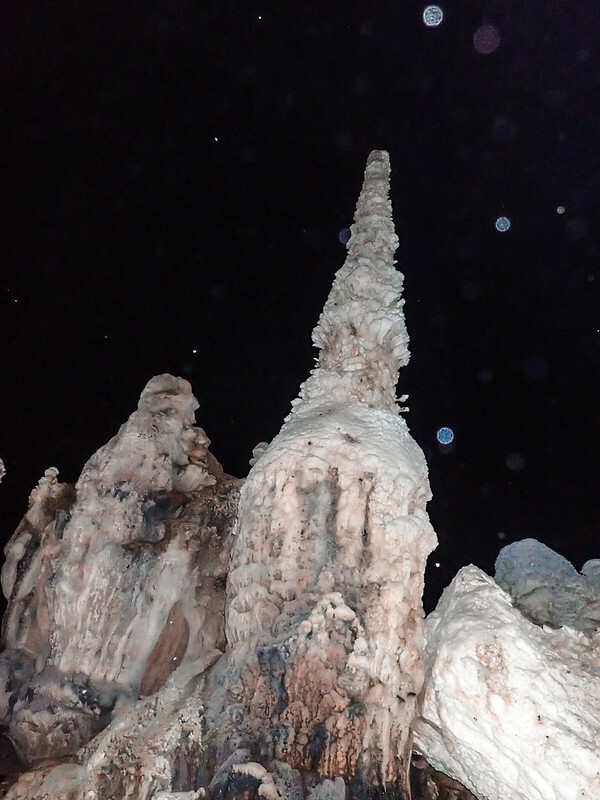 The tips of the stalactites are almost touching the muddy floors of the cave. Behind these amazing structures is a huge room similar to the Football Field of Gobingob cave with cave floor as muddy as the latter one. It’s hard to move with this type of mud. 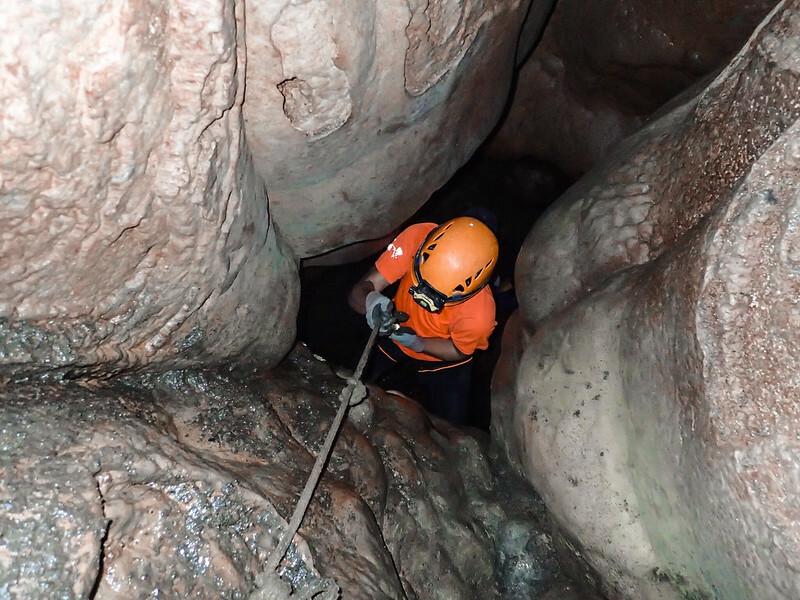 We entered a small muddy passage to another vast chamber. 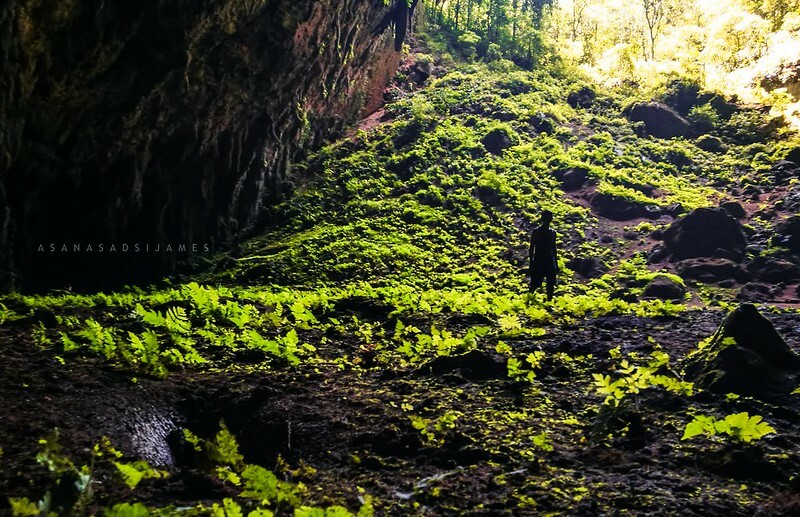 Across the forest of stones and grandest chandeliers of the cave end yet another gruesome and challenging trail of thick deep mud and bat feces called guano. I never thought that these feces would create underground rolling hills in such dark places. 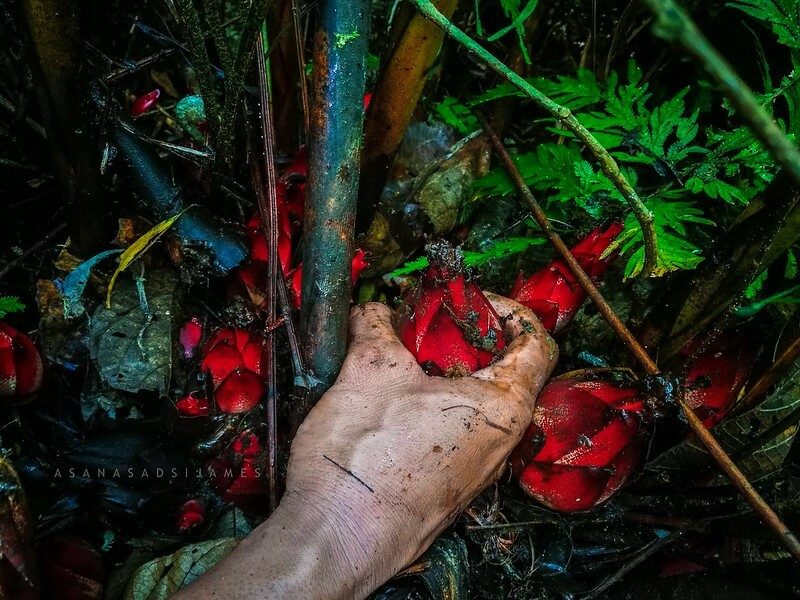 It’s more gruesome than wading yourself in a mud because you’ll be battling the weight of your body plus the backpack then at the same time, gasping some neat air — if not fresh air — through this stench. 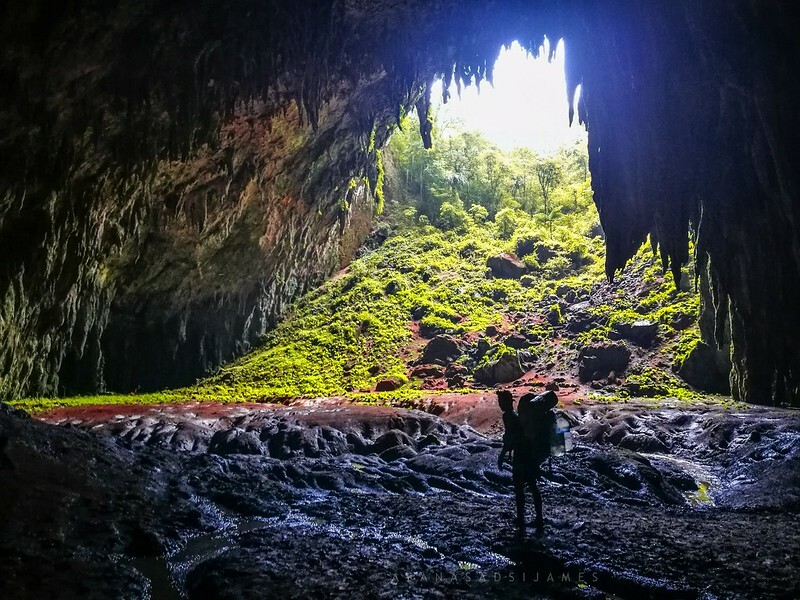 Then all of a sudden, piercing rays sparked to life from a high ceiling of the cave, lighting up the tunnel ahead and bathing the entire cavern in a flickering orange afternoon glow. That was the time when I noticed that the ceiling in this chamber is as high as the ceiling of the upper Gobingob chamber. We marveled the sun’s rays from a distance while wading our way closer to it. It’s has been more than a day since we last saw the sun’s rays. More than half an hour had passed, we reached the hole up on the ceiling where the sun was peeking peacefully. 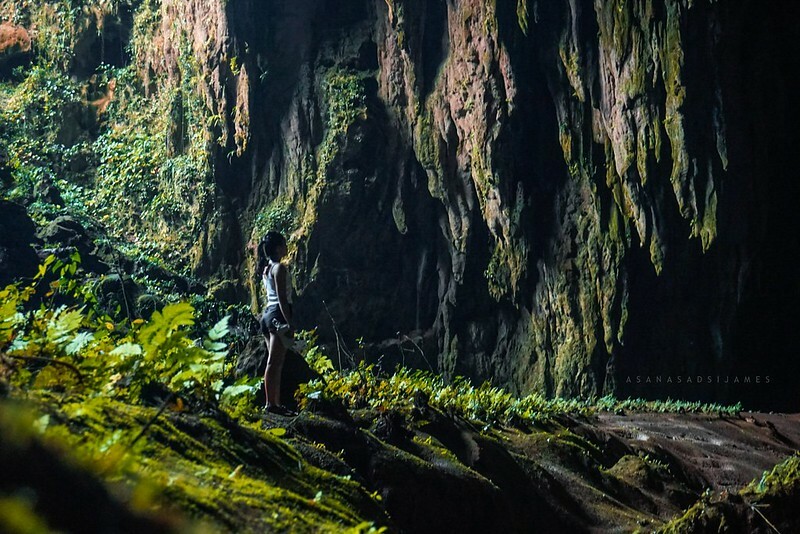 At the end of the big chamber lies the exit of the cave to humanity. Sunlight has shown from a huge exit and the awe-inspiring view couldn’t be fully described in words. Light, day, sun even the moon holds no sway or meaning in a place where time stands still until we saw the exit. Rebirth was my first thought as the sun warmed up my face. We walked closer and closer to the exit for a better scene of the maw. 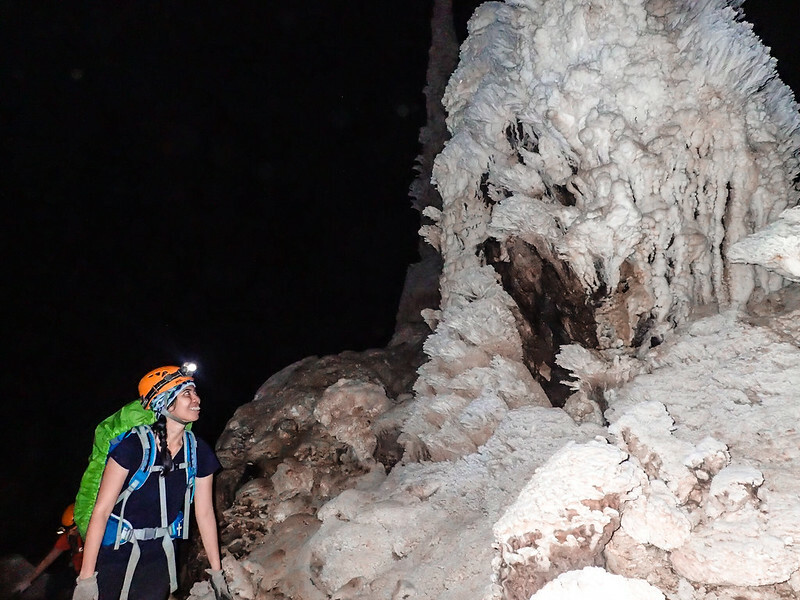 The gargantuan mouth of the exit was adorned with draping stalactites and collided by the surrounding jungle. We arrived at the campsite smelly and dirty and hungry. 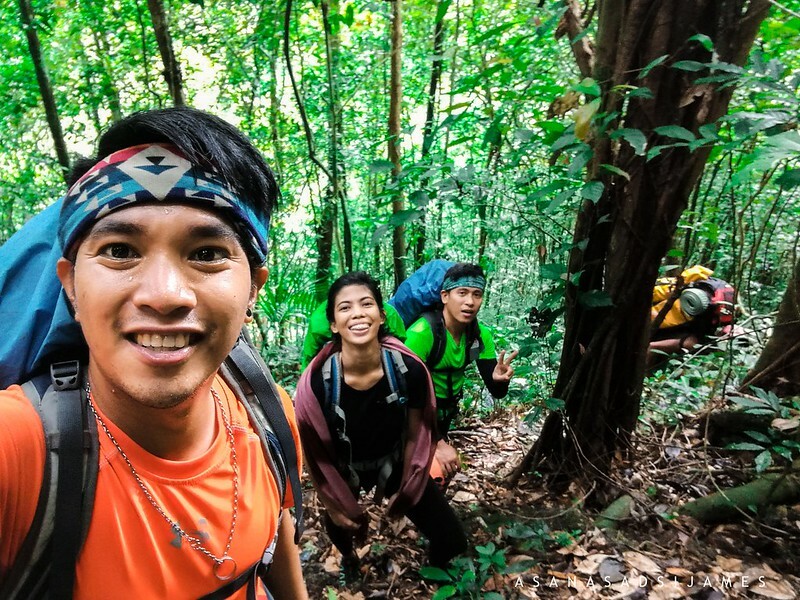 We helped ourselves and with the handful of time we had before our expedition to lower Langun chamber, we explored the campsite and near the cave’s exit. 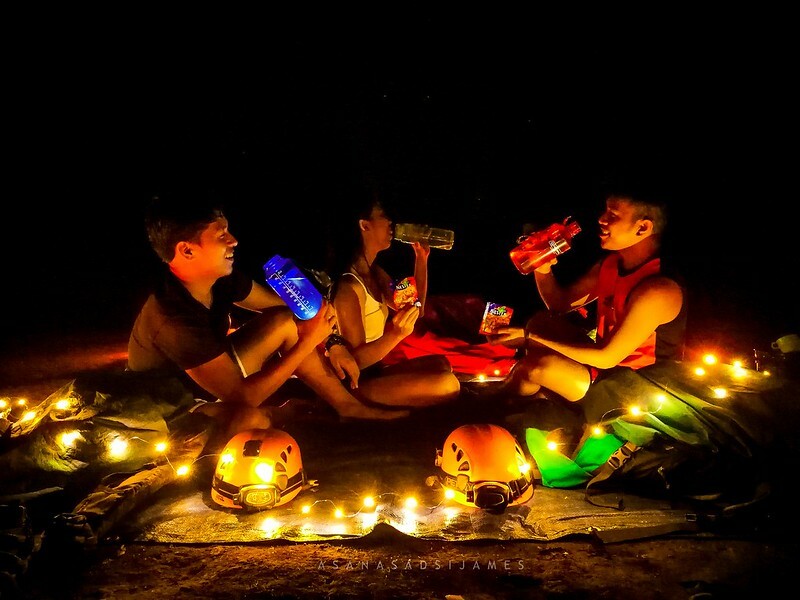 Equipped with our phones and cameras we brought, we didn’t miss this chance while the sun is still above the horizon. I am now fascinated by exploring the caves. 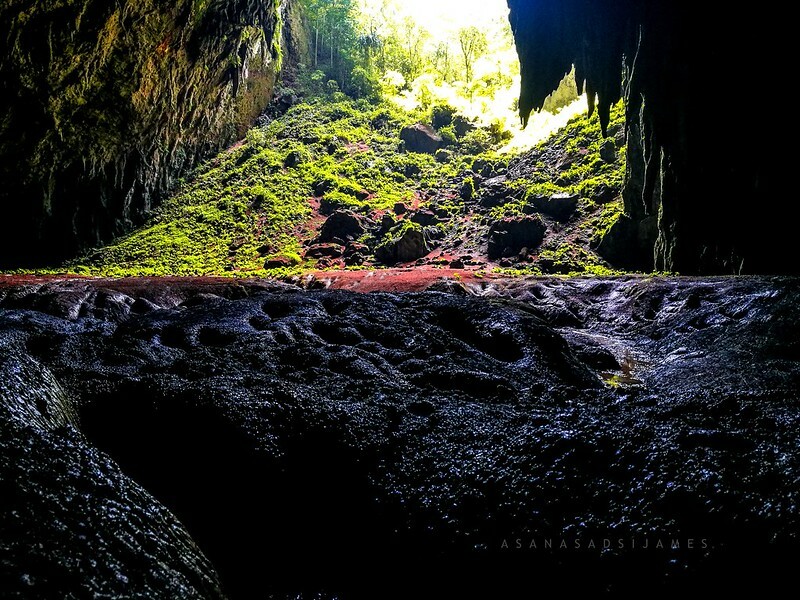 The landscapes inside the cave are fabulous. The damp air is saturated with the foul stench of guano but still, the smell of lavishing jungle nearby dominated. The flora and fauna are not different from the surface. 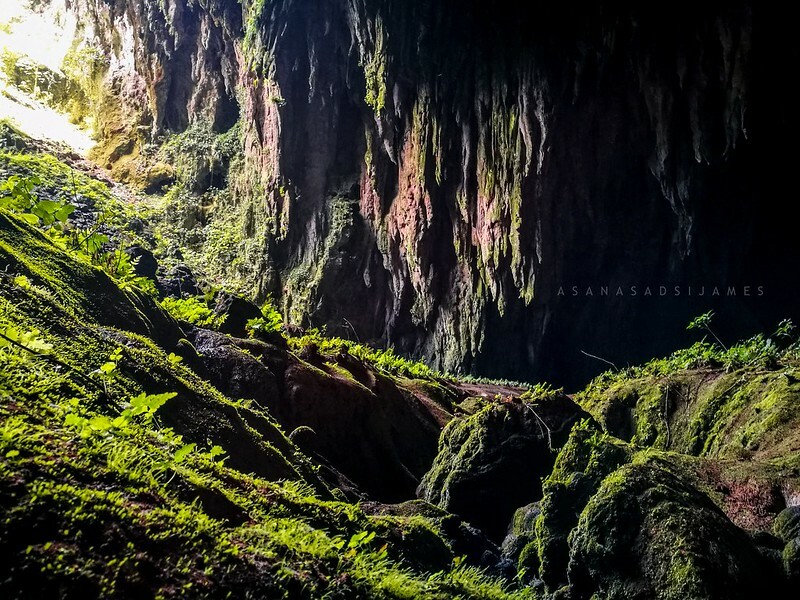 Tree roots and thick vines dangling like snakes dropped down into the mouth of the cave from gaps in the limestones, livened by the reach of the sun’s rays and by their need of water. 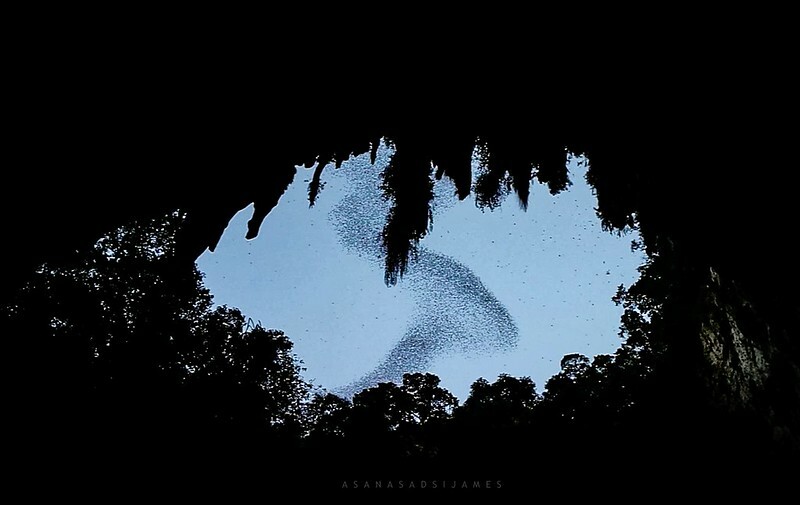 When the night and day were playing tug of war, thousands or even millions of bats covered the cave’s exit, dancing on the twilight sky of Samar island. Their dance lasted long enough before the stars took their turn in the night sky. 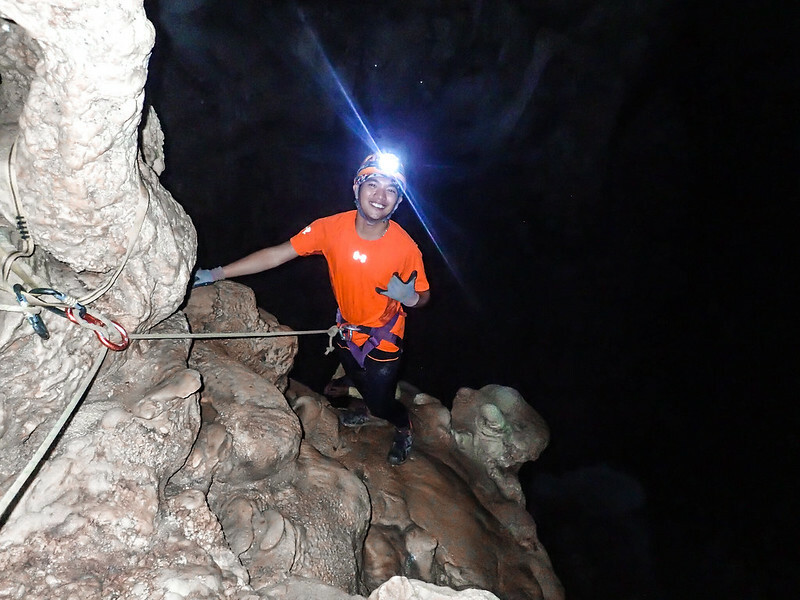 Following dinner, we set off deeper into the lower Langun chamber. That may be the deepest I had reached so far from the surface. 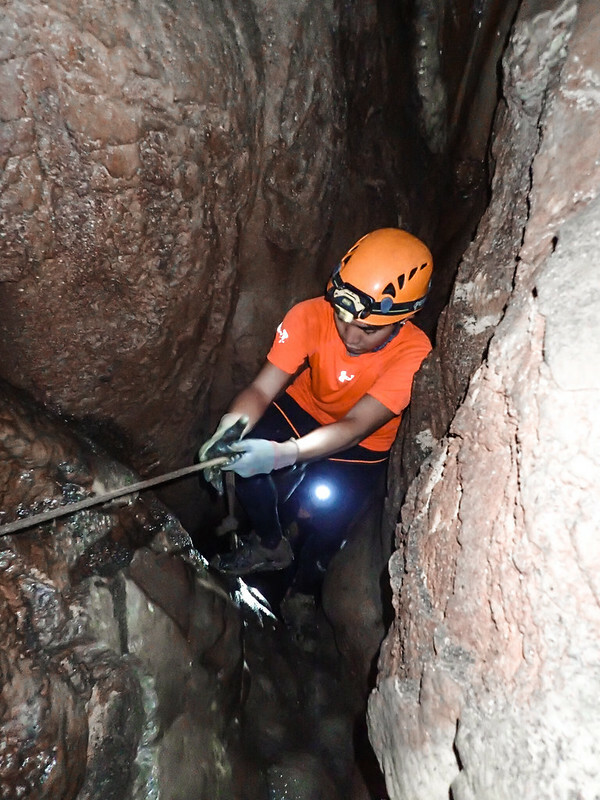 To enter the lower Langun chamber includes a rappel down to a very narrow hole and then, to an even narrower hole that could only fit one person slithering to the other end like a snake. And oh, there’s a snake that awaits us on the other side sitting like royalty, from the family of the cobra with a length of not less than 3 meters long. 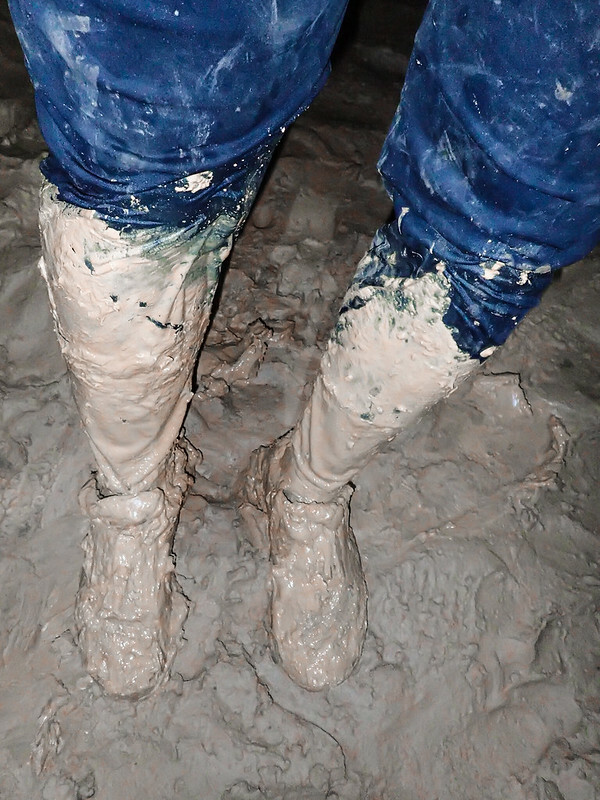 Within minutes, we reached an area of a very thick knee-deep mud, thicker than we once traversed. My foot was stuck in this mud and lost my balance. I stumbled into the mud with both arms stuck to it on elbow level. It was so hilarious that my friends were laughing at me. 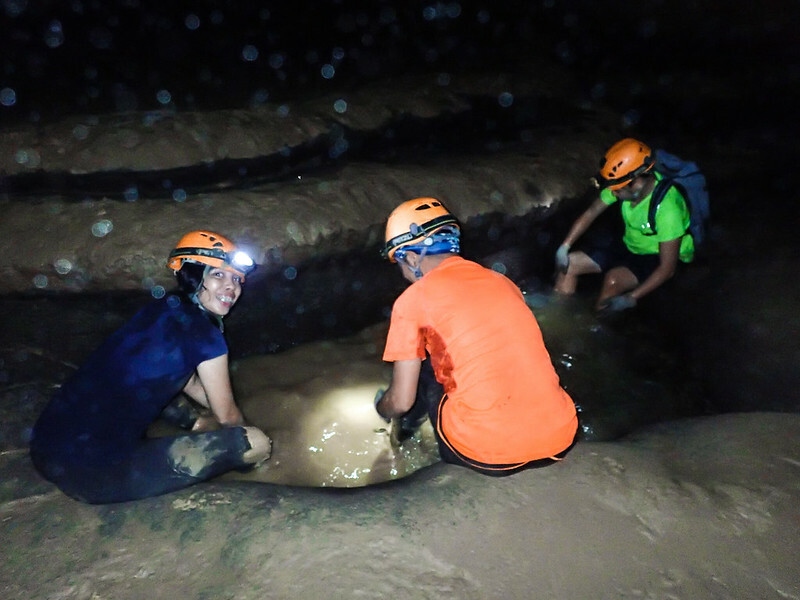 As we navigate the thick mud, we’re all amused upon reaching the cave terraces, natural pools, discovering an underground river and waterfalls. My heart was thumping by surprise seeing these natural creations in the underground realm. We traversed through muddy and sandy hills, on a river sandbar and on rivers until through an increasingly narrow tunnel. We had fun by sliding through a natural mudslide. 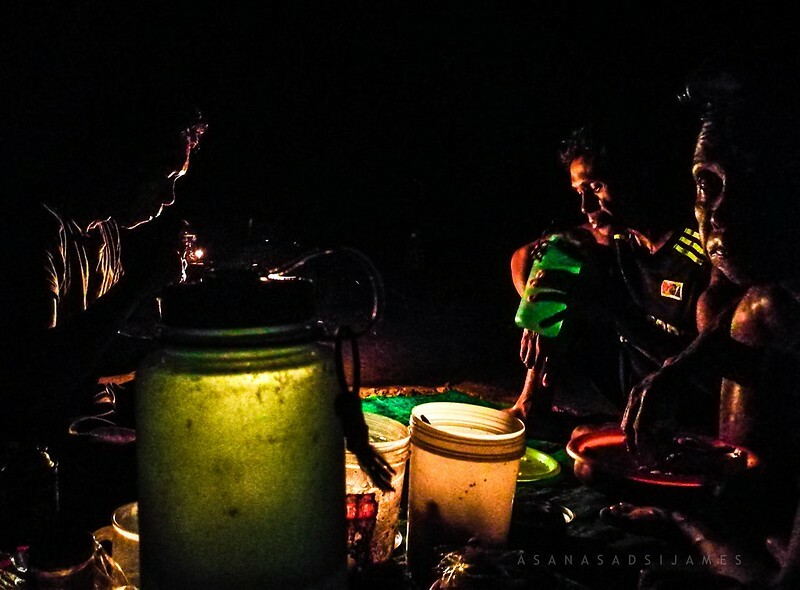 Each of us has our own story of tumbling and soaking onto muds and rivers. 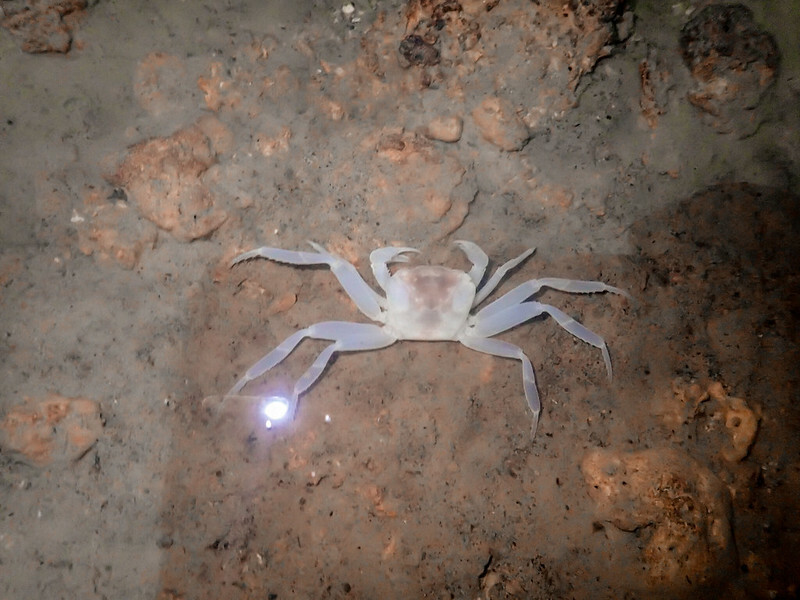 We saw blind fishes and crabs that are endemic to this kind of place. Our expedition ended earlier than expected so we had a bunch of time bathing ourselves and cleaning up these mud-covered clothes on our way back before hitting the sack. Our bodies were exhausted after our activity. 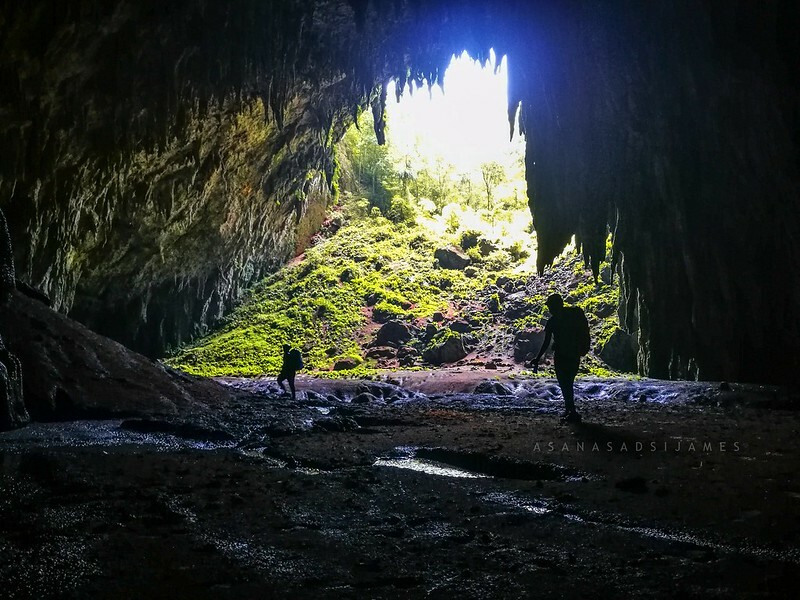 My friends immediately transpired themselves to dreamland while my thoughts were still wandering around the caverns of my mind. 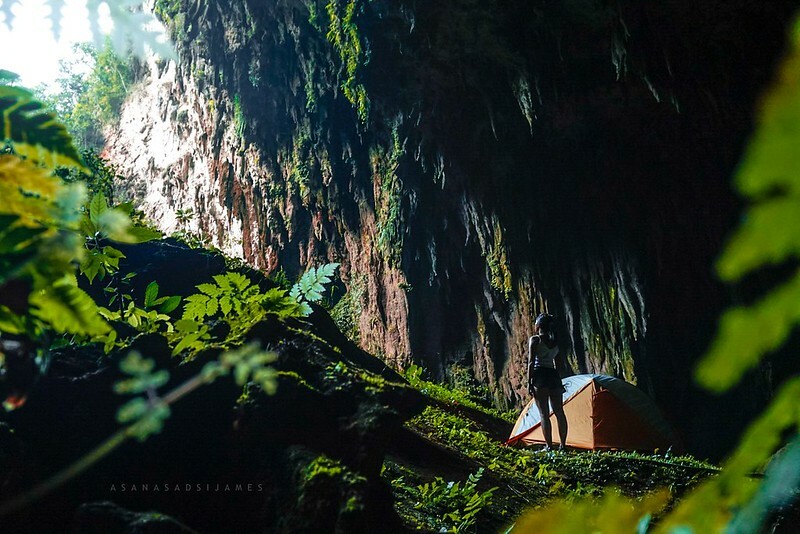 Just when we’re savoring our last night camping and slumbering inside the cave, one of our cave-dwelling and cave-crawling friends paid a visit. A snake slithered its way into the middle of our campsite passing few of my snoozing companions. One of them noticed the snake and her scream startled the snake away and woke the sleepers up. It was a very surreal experience since I was only a meter away from the snake itself and was still awake at that time. Nevertheless, no one was harmed and no cave-dwelling creature was beaten to death. 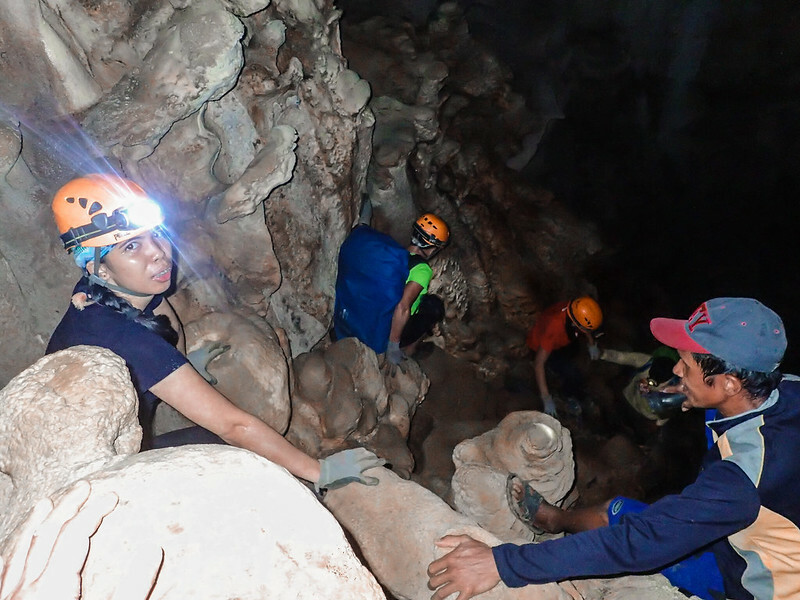 Morning came in and we bid goodbye to Langun-Gobingob Cave. We traversed the breathtaking exit on our way to humanity. 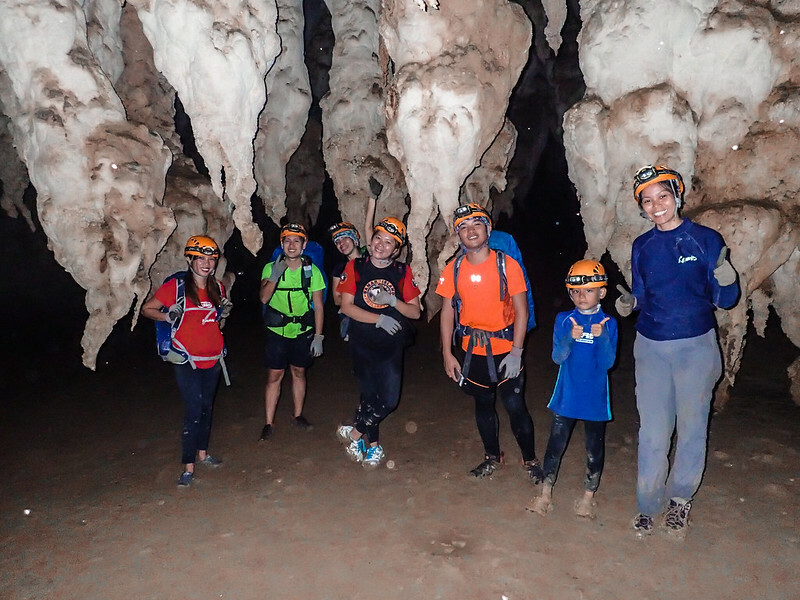 The 3-day intrepid exploration to the underground realm of Samar has all been worth it for every single moment. 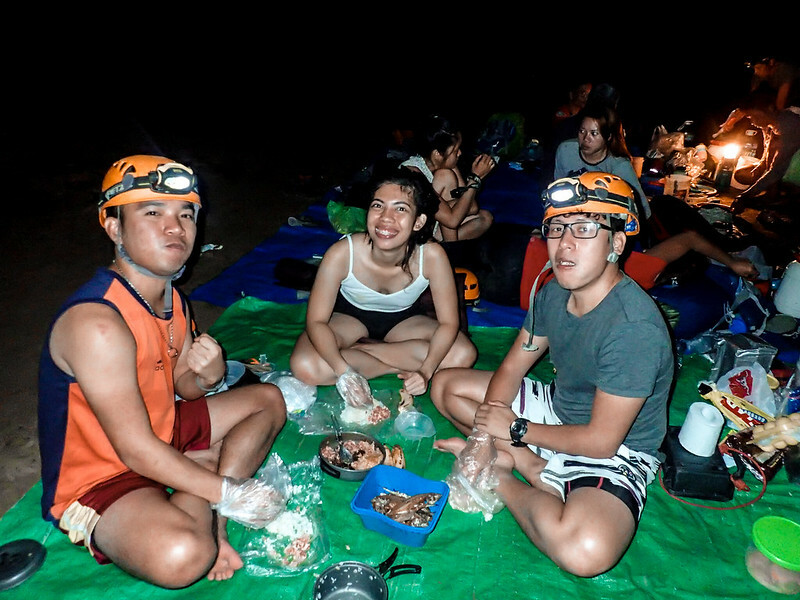 It was a jampack adventure of spelunking, hiking, rappelling, river trekking, sliding, tumbling to muds, and rock climbing underground. Truth be told, it was not for the faint-hearted. But I believe that you do one thing that scares you once in a while. We had a few stops along the way. The pebble-covered trails took us some time to traipse. Needlessly to say, but it took us hours. 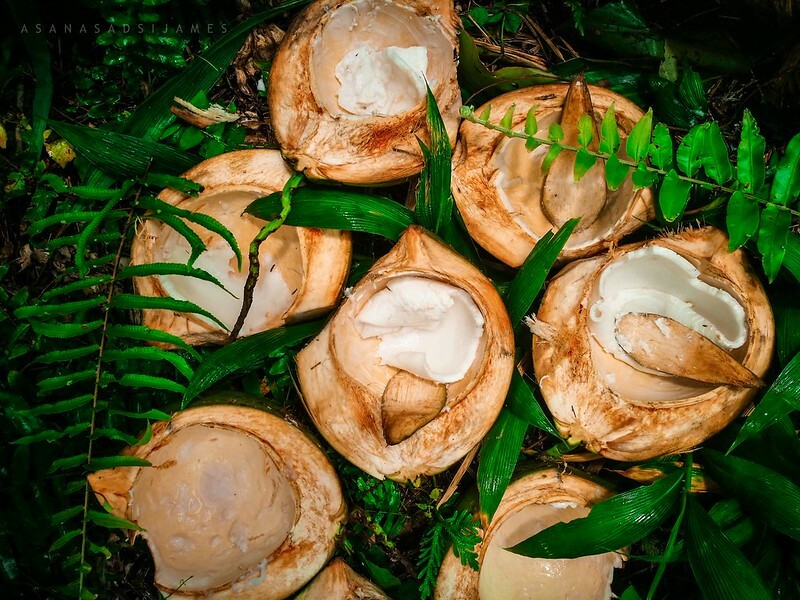 Under the heat of the sun, we quenched for something delicious. 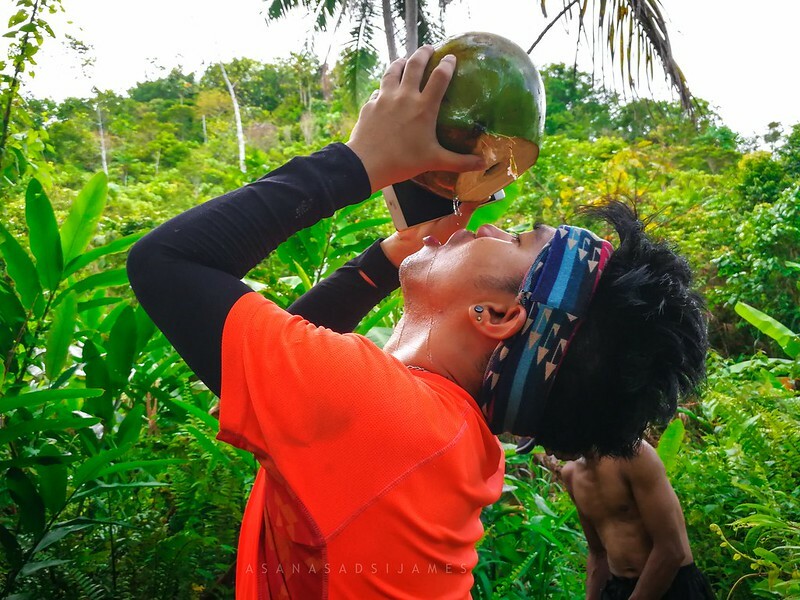 We took some time enjoying our buko juice near the foot of the mountain. I had also some battles scars to remember our intrepid exploration. 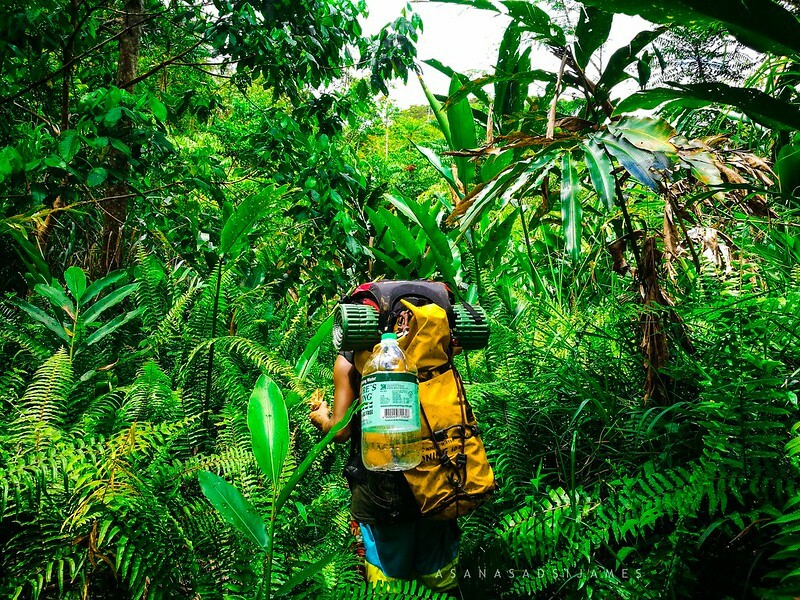 After a 3-hour uphill and downhill trek through the thick jungle of Samar, we arrived at our final point of destination. I’ve won over the pain and the fear. Welcome to the hustles and heckles of civilization, AGAIN! I want to extend my thanks to Master Lai of The Little Lai for giving his slot to us due to some untimely circumstances for this event. 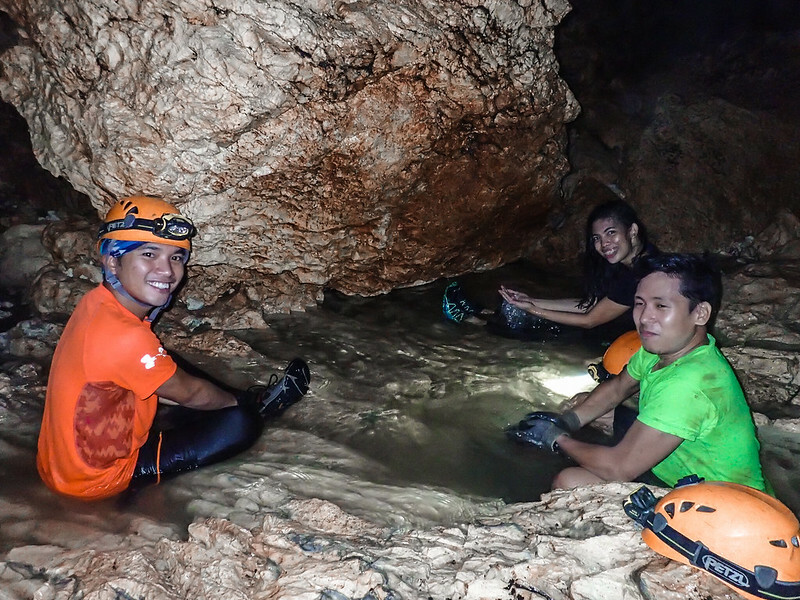 I also want to thank my friends, Junji of Wandering Feet PH and Sparkle of Laagsparkles, for joining me in this exploration and congratulations to all of us in conquering the biggest caves of Samar. 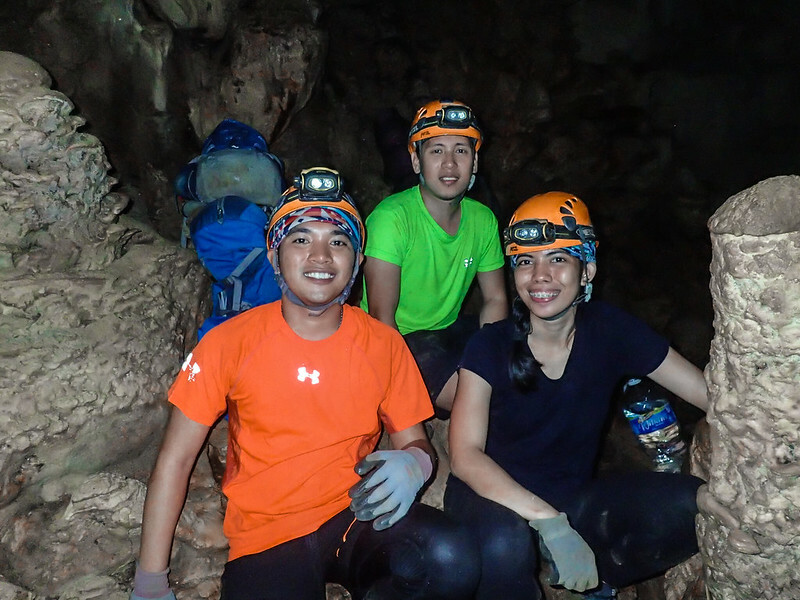 A big thanks to the team of Trexplore The Adventures for the assistance and guidance on this exploration especially to the one and only cave master, sir Joni Bonifacio, for his unparalleled skills and knowledge about spelunking. Our exploration was very safe, convenient, educational, and most important, full of fun because of this team. Thanks also to sir Joni’s wife, ate Rhine, and to his family for welcoming us in their humble abode for few days. It made our Samar adventure more memorable. 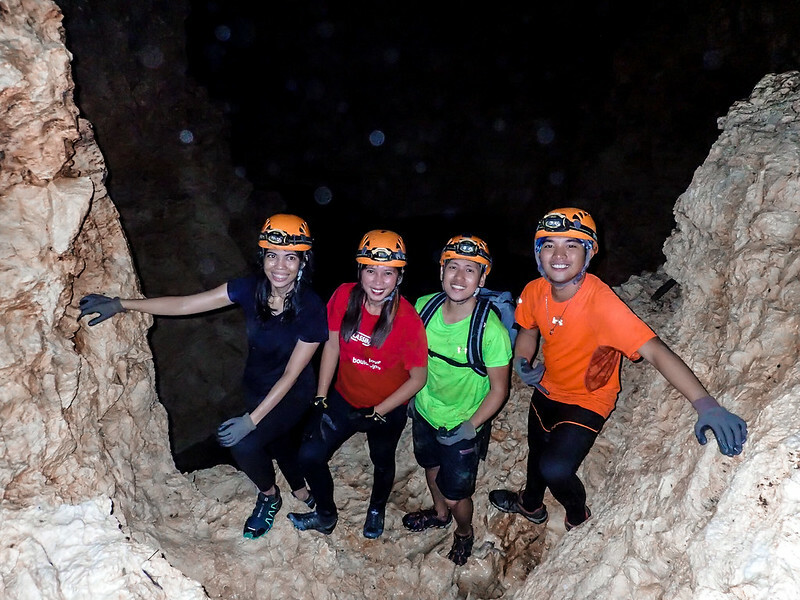 For those who want to experience the wilderness that will momentarily take you away from the buzzling life of the city to the underground caverns of Samar, book your tour now through these. I had to highlight the disclaimer. LOL. Nice blog, as always. Superb photos. to rush life is to forsake life. and life should be the last thing to be forsaken. for we are truly blessed to be alive and to have all that we have. the pure magnificence of this sunset reminded me that the world is full of so much wonder that I have yet to see. don't rush life. don't sit and do nothing. just live in the moment. the important thing I know is that life will always deal us a few bad cards. but we have to play those cards the best way we can. and use it to win life. FLY me AWAY from this reality.